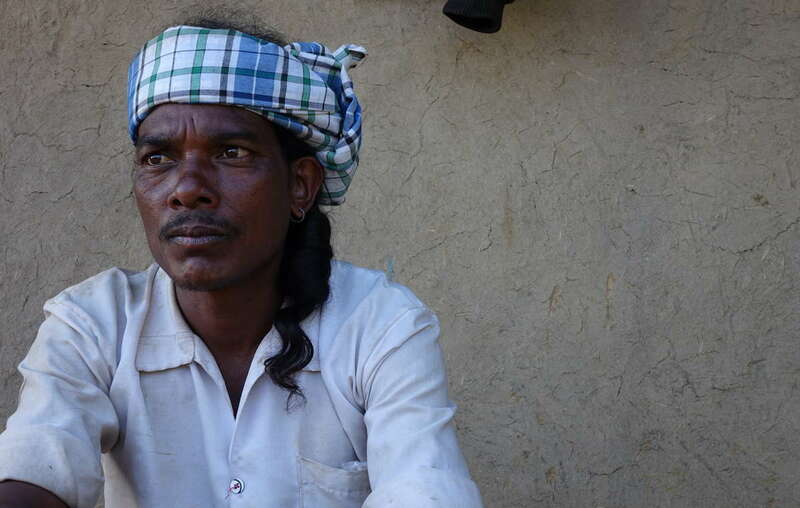 Baiga man evicted from Kanha National Park. Whole communities have been scattered and destroyed. One evicted Baiga woman told Survival: "We were the kings of the jungle, but here they treat us like dogs. It&apos;s only sadness here". Hundreds of thousands of tribal people in and around India’s tiger reserves risk being illegally evicted from their ancestral homelands in the name of conservation. They face arrest, beatings and torture at the hands of park guards – horrifically, some people have even been shot at on sight. India’s tribal people have the right to live in and protect their forests, including in tiger reserves. But the Indian tiger authority has issued an illegal order denying this. More evictions – and the terrible suffering they cause – are bound to follow. Please join Survival’s tourism boycott of all India’s tiger reserves until tribal peoples’ rights are respected – for tribes, for nature, for all humanity. Signatures : 4,474 Help us reach 1,000! I pledge not to visit any of India’s tiger reserves until the Indian tiger authority withdraws its dangerous and illegal order and respects tribal peoples’ rights to live in and protect their forests.